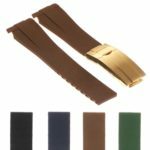 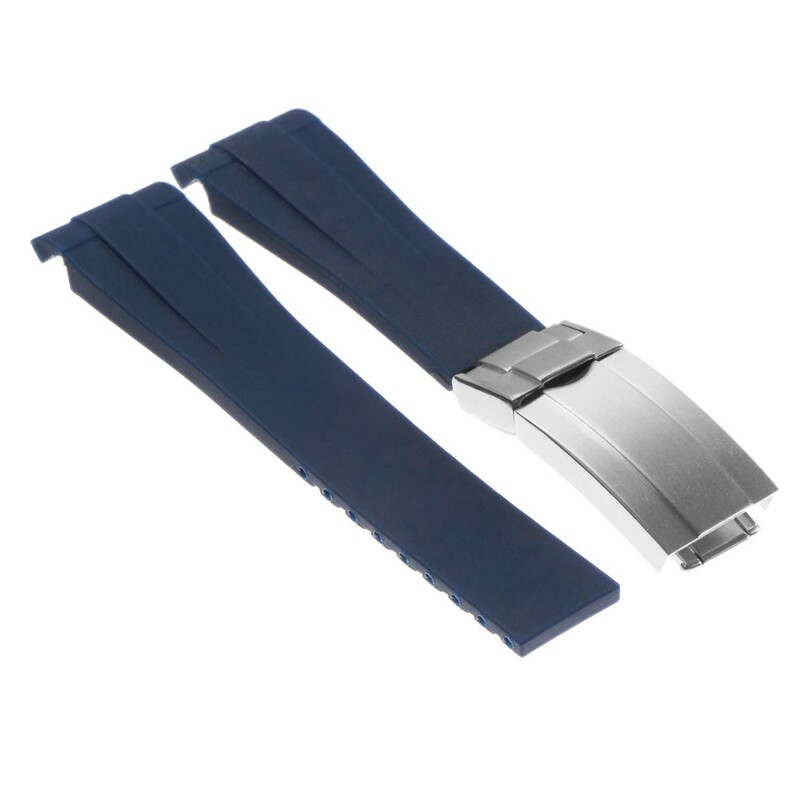 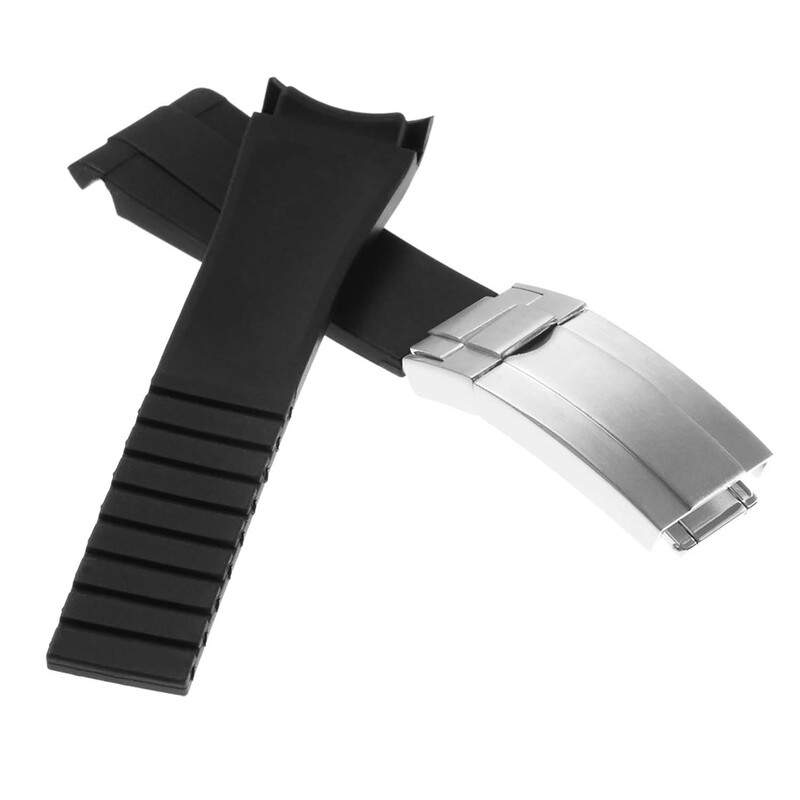 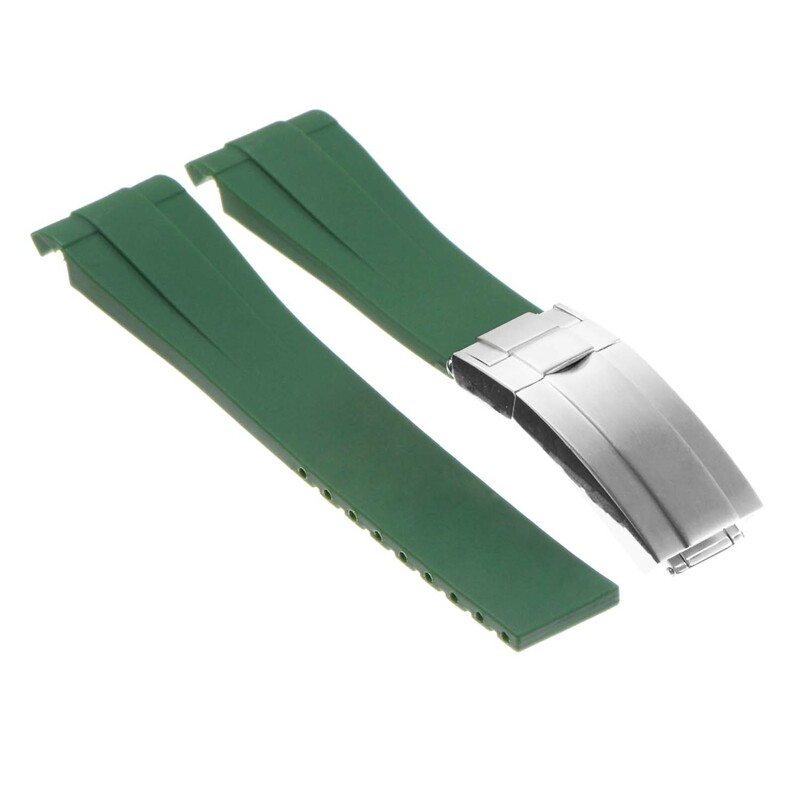 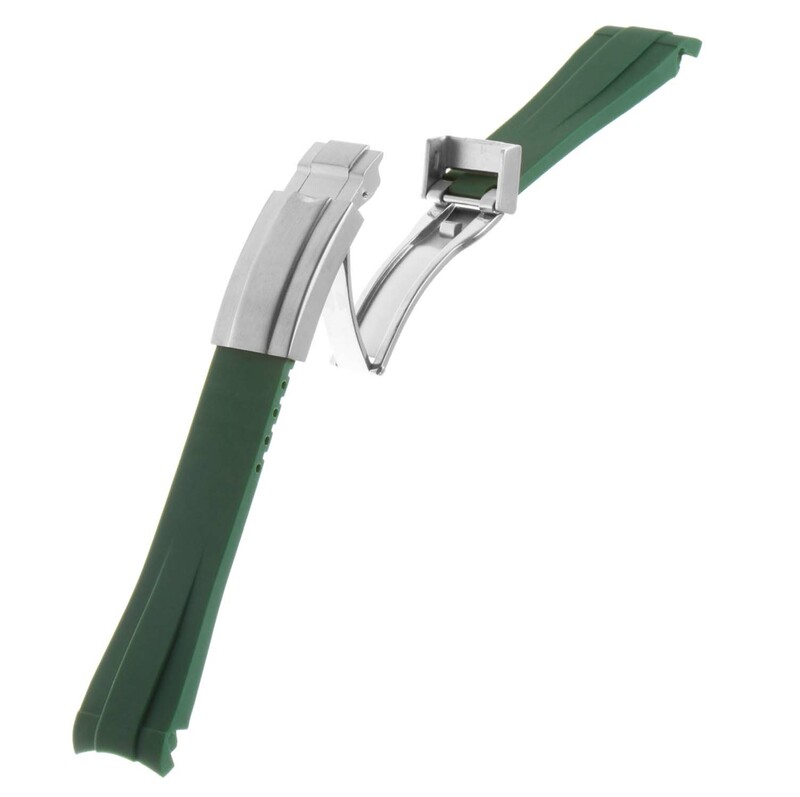 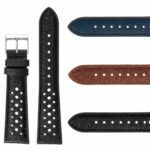 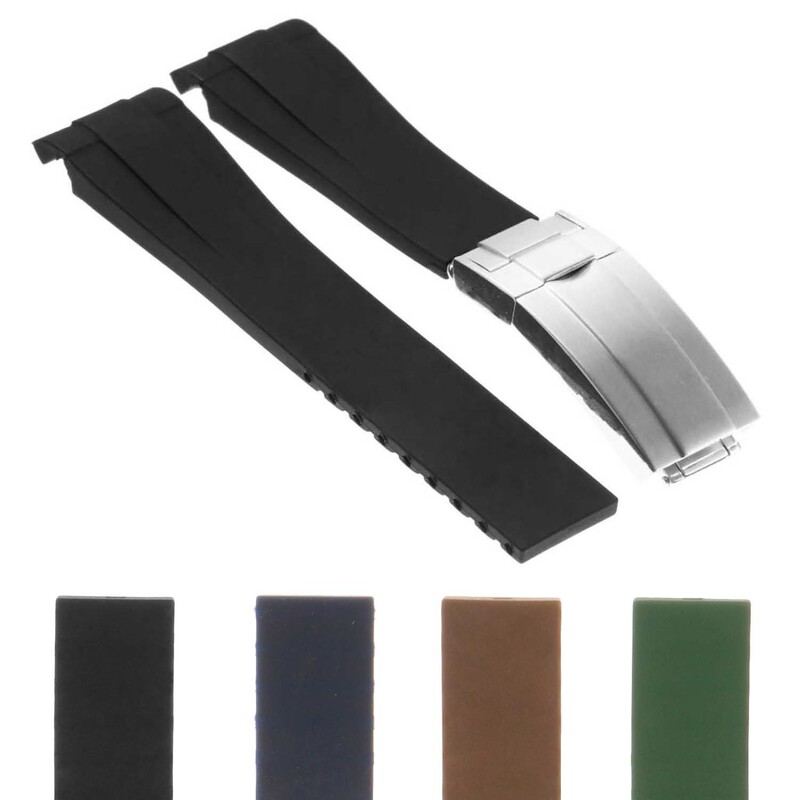 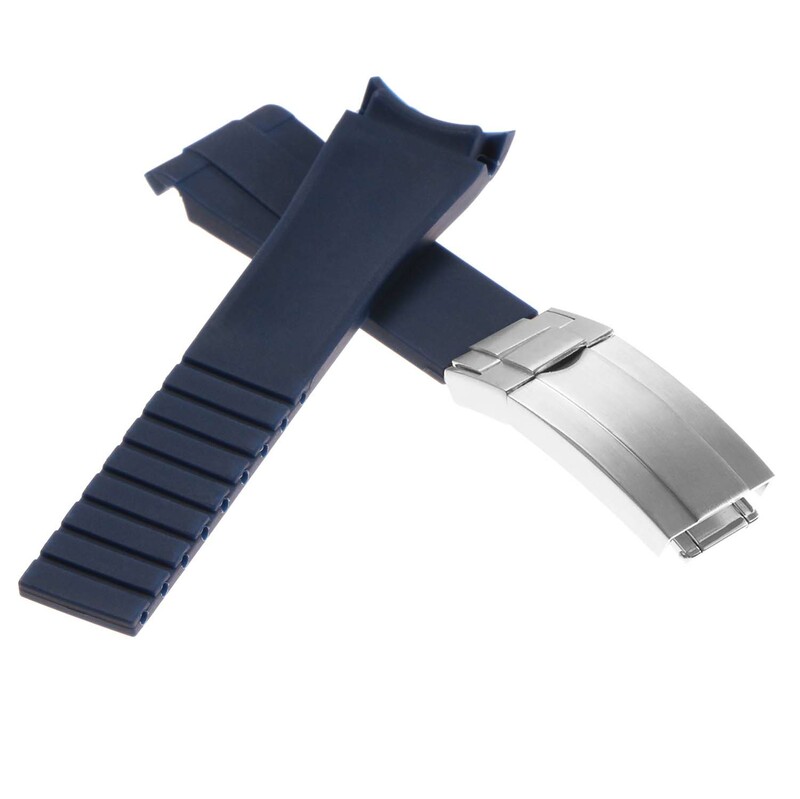 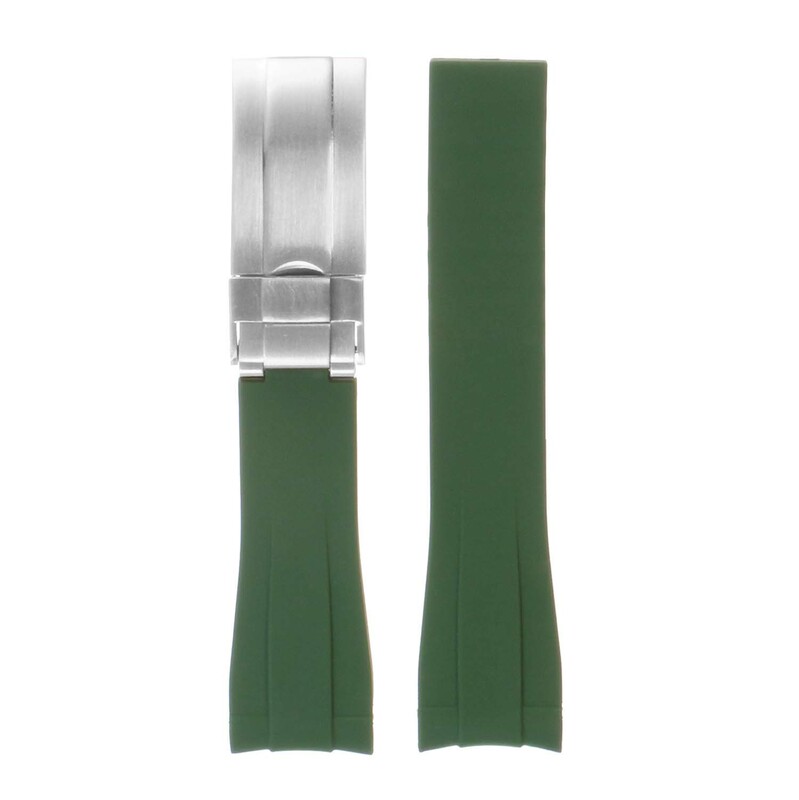 High quality silicone rubber Oysterflex replacement watch strap for Rolex. 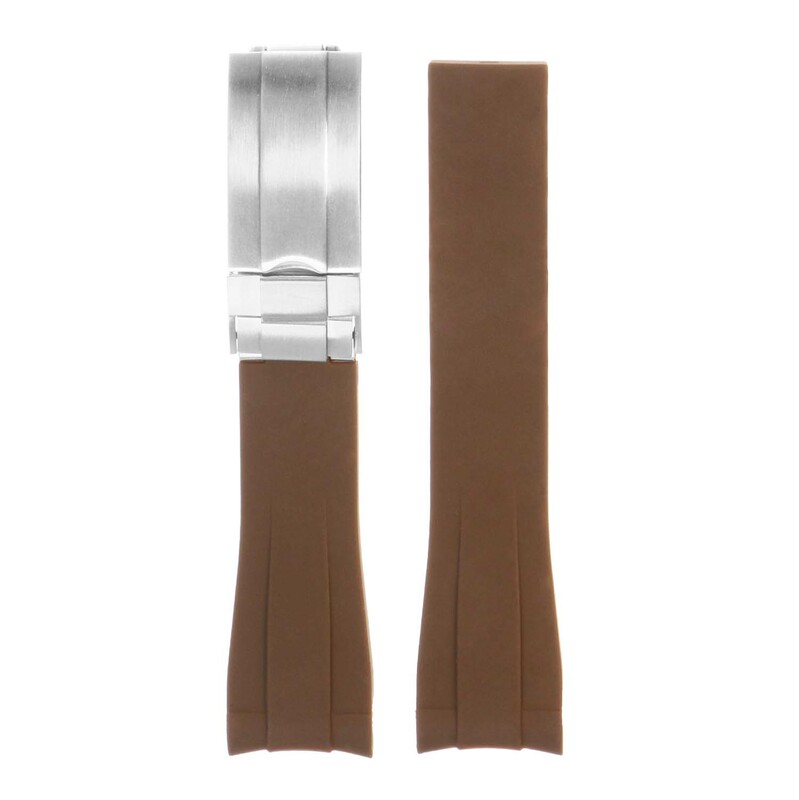 Impressed with the quality of both the strap and clasp. 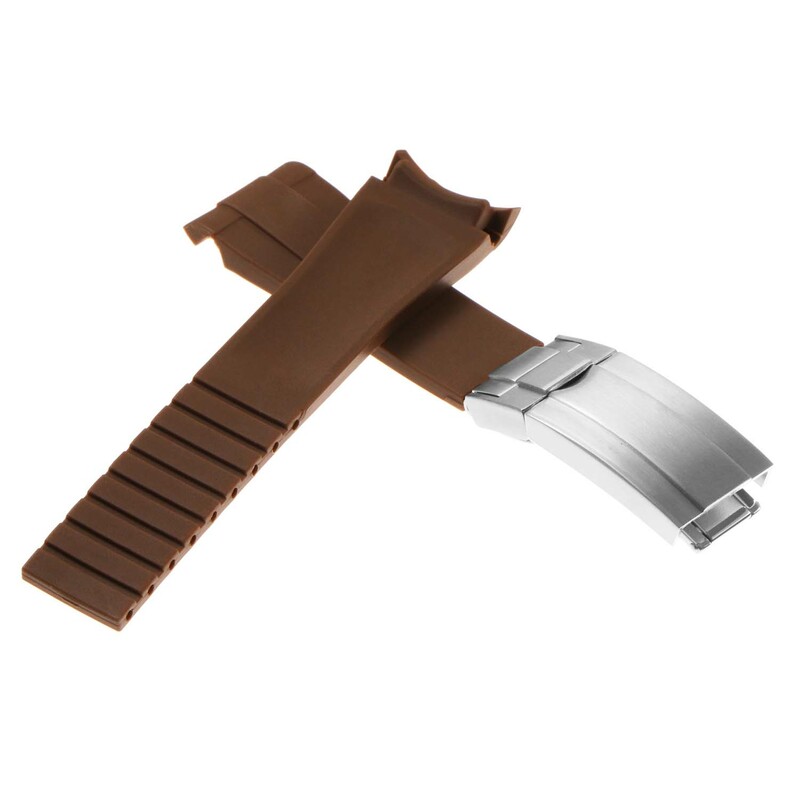 Fits perfect on my explorer, saving 250$ off the branded one. 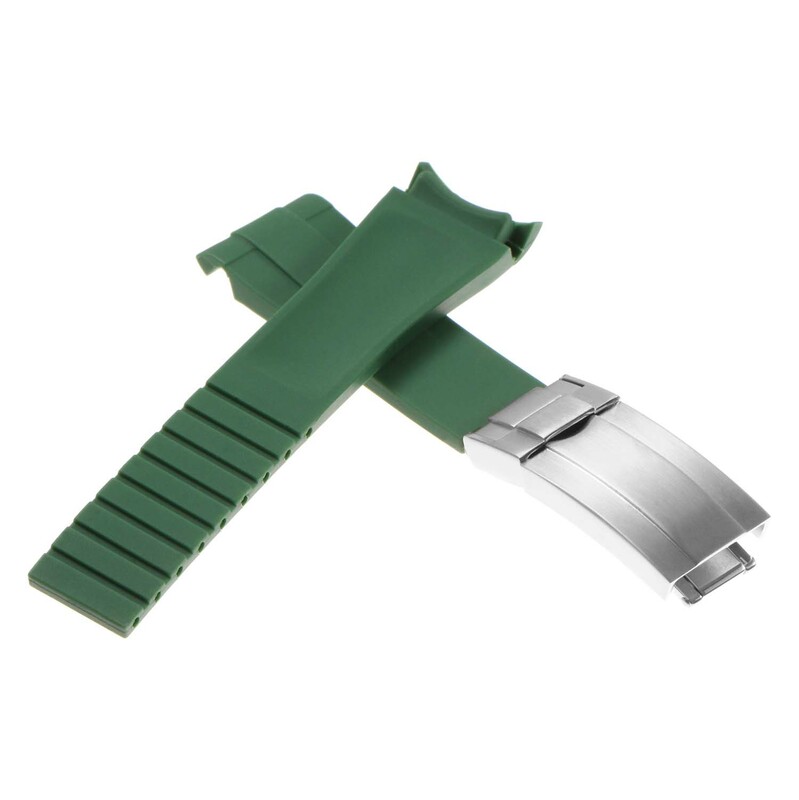 I was not sure I want to get a rubber strap for my Rolex. 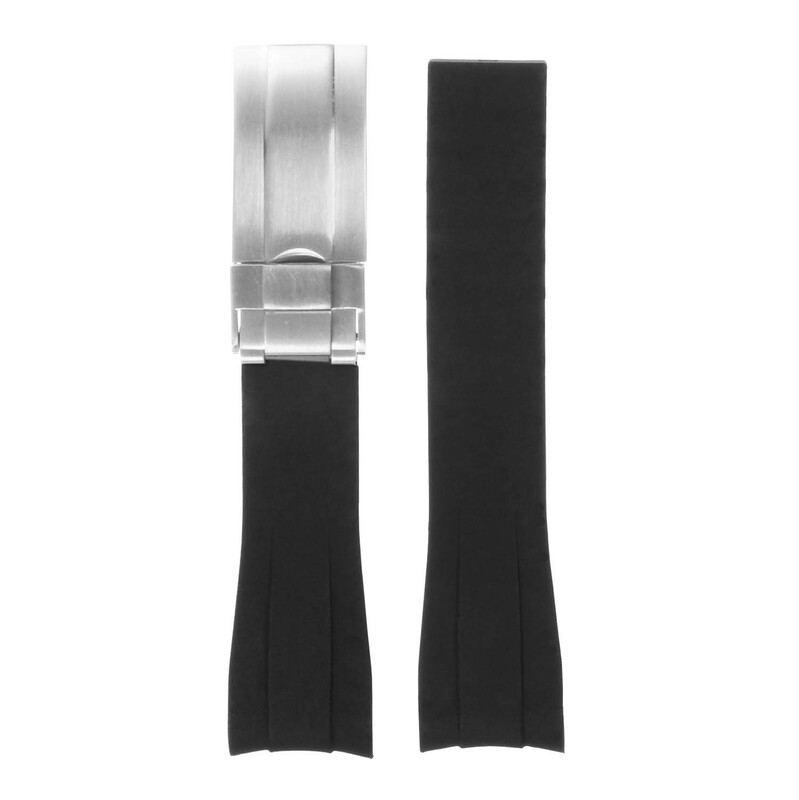 I was looking at a comparable strap with rubberb or Everest for $260. 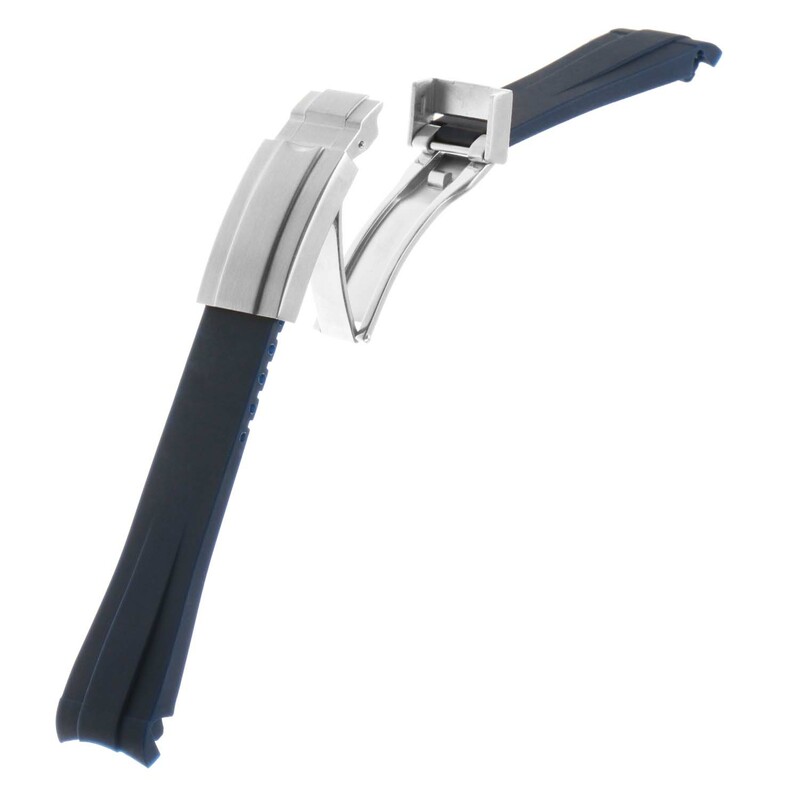 I thought I’d try this one to see if I like it. 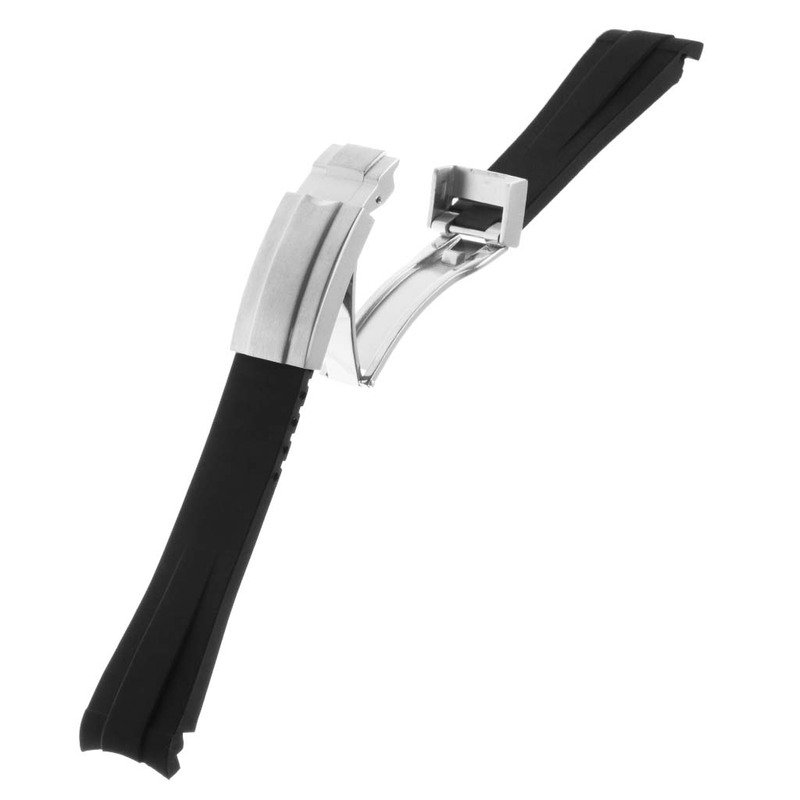 I love it and the price of $30 cannot be beat. Fits my gmt perfectly.